Why would I need self storage in Carlsbad, CA? There are a variety of reasons why you might need self-storage in Carlsbad, CA. How much is a storage unit in Carlsbad, CA? The cheapest storage unit in Carlsbad, CA is $58.00 per month. What size storage units do you have available in Carlsbad, CA? In Carlsbad, CA we have sizes that range from 5'x5' to 10'x30' to suit your storage needs. How much is it for a 5'x5' storage unit in Carlsbad, CA? The cheapest 5'x5' storage unit in Carlsbad, CA is $68.00 per month. Carlsbad is a Southern California beach city stretching across several miles of the Pacific coastline. It's earned the nickname "the Village by the Sea" and has grown rapidly in the past several years. Carlsbad is a popular tourist destination with a number of historical points of interest and modern amenities. As one of California's most affluent cities, Carlsbad has a healthy, diversified economy that includes top industries like information technology, video-game development, clean technology, robotics, tourism and sports. It offers a variety of jobs and plenty of opportunities for play. Before being settled by Europeans, the Carlsbad area was inhabited by the Luiseno people. In 1842, much of the land was granted by the government to Don Juan Maria Marron and became part of the Rancho Augua Hedionda. In the 1880s, the city started growing and became an important stop for the California Southern Railroad. Water was an important issue and a problem for families who lived in Carlsbad and the surrounding area. However, when wells were found and drilled in the area, families were able to survive, and eventually the area flourished. You'll find plenty of local amenities in Carlsbad that make everyday life convenient and enjoyable. There are a number of shops, cafes and grocery stores and plenty of family-friendly parks and green spaces. The mild coastal climate makes it possible to enjoy outdoor activities year-round, with mid-60s to mid-70s temperatures for much of the year. If you're interested in the area's history, you can visit the Old Santa Fe Depot, which was built in 1907; Twin Inns, which was built in 1887; and St. Michael's Episcopal Church, which was built in 1896. For something more modern, check out LEGOLAND, the local golf clubs and restaurants galore. Local beaches and public parks provide the perfect setting for getting outside and enjoying Carlsbad's natural scenery. The Carlsbad Unified School District serves the majority of public schools in and around the city. The district's schools have received national recognition for their high graduation rates, student success and academic achievement. You'll also find several private schools, offering specialized programs including Montessori, faith-based and college prep options. Utilities: San Diego Gas & Electric is the city's main energy provider, while the city manages water and sewer services. Garbage and Recycling: The city provides curbside collection of trash and recyclables. You can also take advantage of organic composting and document shredding. Transportation: North County Transit Services provides bus, shuttle and train services to make it convenient to get around town. The median home price in Carlsbad is significantly higher than both state and national averages, and property taxes are also fairly expensive. You can expect rent prices to be higher than average as well. Our lowest priced units in Carlsbad, CA average $63.00 per month. 207 people have reserved units in Carlsbad, CA in the past 30 days. 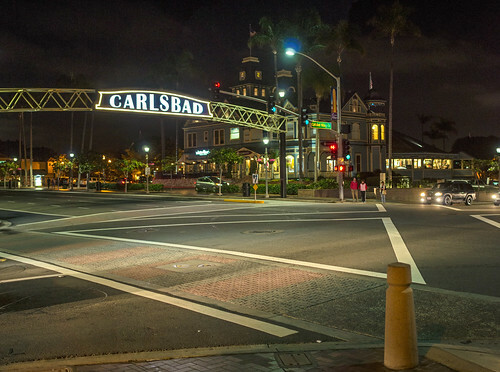 There are 2 locations within Carlsbad, CA's city limits.